WHY BUY FROM HAMILTON GOLD? We are constantly monitoring the markets and our prices are among the best in the industry. We display all our buying prices for most products. This transparency is hard-to-find within the precious metal field. 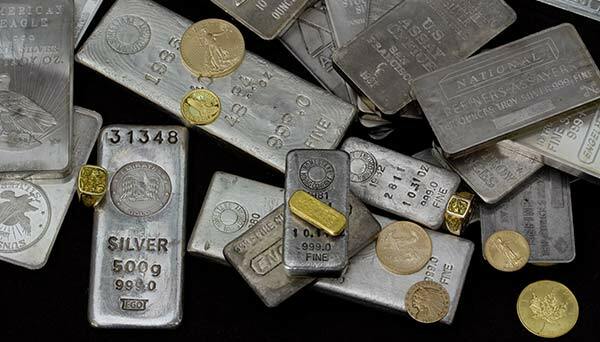 We offer a wide variety of gold and silver and bars and coins. For the safety of our customers and employees we do not carry an open inventory. Please call one of our locations to arrange a viewing of our current inventory. Hamilton Gold promises and guarantees that you will receive prompt, helpful and courteous service. Hamilton Gold believes that you deserve the highest levels of security when you make any purchase. You can rest assured that your personal data is safe and secure. We have deployed a range of active and passive security measures at our location in order to maintain a safe environment. As part of Canada Gold, we have convenient locations from coast to coast and a Secure Mail In Program. Our website allows you to monitor the market and gather information 24 hours a day, 7 days a week, 365 days a year. Call us at any one of our locations and we would be happy to assist you. Your satisfaction is extremely important to us. We guarantee your satisfaction with a refund, return and/or exchange policy for all purchased products. At Hamilton Gold, you can purchase with confidence. In Canada, any gold or silver coin or bar less than 99.5% pure is subject to GST and PST or HST. For this reason, we offer Canadian Maple Leaf Coins (99.99% Pure) and Gold Bars/Wafers (99.9% Pure). While we do not maintain a large inventory of coins or bars, what we do carry we offer for the lowest possible prices. Please contact us to enquire about our bullion pricing and availability. Prices are based on the spot rate of gold: $1754.29 and silver: $21.02.